Sure, there’s a lot of emphasis on online marketing to expand your brand’s reach and find customers who otherwise might not become aware that you exist. But that doesn’t mean you should downplay the importance – or the impact – of marketing locally. There are a variety of ways that you can use local marketing tactics and strategies to build awareness of your brand in your own backyard – and far beyond. Check out this article by YFS Magazine for tips and ideas that you can put to work for your business. SCORE Lancaster will hold an Open House Luncheon for prospective new members on Thursday, April 25 from 11:00 am to 1:30 pm at Four Seasons in Landisville. If you’re interested in volunteering to mentor small business entrepreneurs, join us! Come meet our counselors, hear about our effectiveness from several successful clients, share lunch with local community and political leaders, and learn about the requirements and expectations of SCORE membership. For more information, e-mail scorelancaster@verizon.net or call the SCORE office at 717-397-3092. Monday rise and shine! It is the beginning of new week. To many of us, especially small businesses that maintain relationship with a large group of customers/partners via social media, Monday morning means scheduling new Tweets via Hootsuite, scouring for a rejuvenating article to share on Facebook, or contributing insightful comments on new articles shared by our connections on LinkedIn. The emergence of social media suddenly opens up this immense opportunity to reach out to a much larger audience just by the move of your fingers. It makes keeping in touch easier, more efficient. Yet, somewhere in this seemingly too-good-to-be-true interconnected world, more and more people start to realize the importance of in-person interactions. On the business level, this means a return to some “traditional” forms of social marketing – namely events where the company, its partners and customers can come together and develop deeper bonds. Not only a meaningful way for people to connect at a more personal level, the beauty of those events lies in their sense of locality. If digital media allow you to reach out to audience on a national, sometimes international, scale, events tend to attract certain geographical groups. In this way, events gives you a chance to create deep relationship with the local community where they are hosted. This is crucial to small, local businesses. In this article, Carol Aubitz listed several ways companies can bring social marketing to a more local, intimate level. She also shared ideas about how to make those events engaging, fun, and memorable for those who attend. Certain practices such as product samplings/demonstrations, hosting contests, and linking the event with related social cause can be used to create a lasting impression on the audience. What do you think about the importance of in-person meeting for businesses? What ideas do you have in terms of connecting with customers and partners in a personal, meaningful ways? Please share with us in the comments section. For more information about how SCORE Lancaster can help you develop your business, please visit us here or give us a call today at 717-397-3092. We are happy to assist you on your way to greatness! I would like to introduce this week’s issue of the Guest Post Series on SCORE Lancaster’s blog contributed by Sara Aisenberg. Sit back and enjoy! Many entrepreneurs need surety bonds before they can open a new business, and many must then renew them periodically to remain in compliance with industry regulations. As such, the term “surety bond” should be a part of every entrepreneur’s vocabulary. Unfortunately, most people don’t know much about surety bonds until they try to establish a start-up. To educate small business owners about this unique risk mitigation tool, the following guide will explore the who, what, when, where, why and how of surety bonds. Across the country, business professionals in certain industries must obtain surety bonds before they can be licensed to legally work in their respective cities and states. According to various laws enforced by government agencies in Pennsylvania, contractors, mortgage brokers, auto dealers and lottery retailers are just a few types of professions that must be bonded. To find out if you work in one of the many industries that require a surety bond, contact the local government agency that handles licensing and registration for your industry. Individuals in need of a surety bond should know that a bond legally and financially binds three parties together. The principal party purchases the bond, the obligee party requires the bond, and the surety company produces the bond. When the principal party purchases a bond, it pledges to the obligee that the job in question will be done ethically and according to the bond’s terms. The surety backs up this pledge by producing the bond. When do I get a surety bond? It’s always smart to seek out a reputable surety company to work with well in advance of when you need your bond. Although it’s best to apply for your surety bond prior to business licensing and registration deadlines, some surety bond providers can help customers get bonded in just 24 to 48 hours. Where do I submit my surety bond? Once the bond is in your hands, you’ll need to submit it to the agency requiring it (the obligee). If you’re a contractor who needs a bond for curb and sidewalk work, for example, you’ll send your paperwork to the City of Lancaster at 120 N. Duke St., P.O. Box 1599. If the state of Pennsylvania requires you to post a surety bond, you’ll submit your bond form to the appropriate state agency. In the same way that surety bonds protect consumers, companies and government agencies, they also help individuals build credible and ethical business reputations. If you’re a contractor, for example, being bonded tells future employers that you have a history of finishing construction jobs successfully, on time and on budget. If you’re a mortgage broker, being bonded tells your clients that you have a history of conducting business ethically and lawfully, which includes handling funds appropriately and advising clients to make smart decisions with their money. Whether you’re an MMA promoter, a grain warehouseman or a travel agent, surety bonds help consumers and your state and/or city trust you with their business. Because so many factors impact bond rates, surety bond costs can be difficult to predict. Many surety bond companies work with a number of underwriting markets, some of which specialize in nonstandard or bad credit bonds. For this reason, individuals with poor credit can often still get bonded if they work with certain surety bond producers. Depending on the bond company you choose to work with, some bond types can even be written freely without a credit check. To ensure that you have the resources you need to get bonded as quickly and easily as possible and, therefore, start your business venture off on the right foot, account for your surety bond cost in your start-up budget. It’s always better to over budget for bonding, licensing and registration fees than to be blindsided by unexpected costs during the start-up process. Although most business professionals aren’t initially aware of the bonding requirements for their industries, entrepreneurs should fully understand them before embarking on a new business venture. 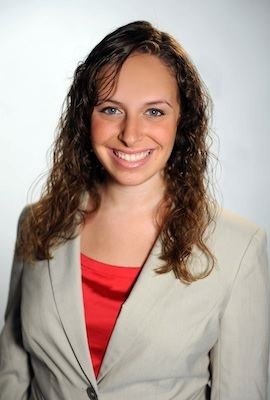 Sara Aisenberg is a member of the educational outreach team at SuretyBonds.com, which is a nationwide surety bond producer. Through her writing, Sara helps entrepreneurs and small business owners better understand bonding requirements, which helps them get their businesses up and running as smoothly as possible. Keep up with Sara on Google+. Congratulations small businesses across the nation for a successful Thanksgiving sales season. American Express first started Small Business Saturday (SBS) in November 2010 to show support of the small and local business sector. Sandwiched between Black Friday and Cyber Monday, SBS gives small, local shops an opportunity to compete with major retailers such as Walmart and Target in one of the biggest sales seasons of the year. According to The Washington Post, Small Business Saturday 2012 attracted up to $5.5Billion revenue from supporters – or 10% of total weekend sales. President Obama has been showing support of and shopping at local stores during SBS. This year, Mr. President reportedly bought Christmast gifts for his daughters at One More Page Books in Virginia. Now that the hype over an eventful sales season is slowly subsiding, it is time for small business owners to ask a crucial question: What’s next? Unlike large corporations and retailers who have the resources to keep the sales momentum going strong until Christmas and beyond, smal business owners need to look beyond the glory of Small Business Saturday. After the sales are gone, how to keep customers coming back without exhausting the seasonal deals? Carminie Gallo of Forbes shed some light on how small businesses could use Small Business Saturday as a chance to create a first-impression among customers and leave an unforgettable mark in their memory. In his article, Gallo argued that it was the atmosphere and the whole in-store experience that would distinguish small, local shops from large physical and online retailers. He cited One More Page Books as an example of an in-store experience deliberately conceived so that no online stores could replicate. This is particularly relevant at a time when tablets such as Kindle and Ipad significantly increase the popularity of digital contents and pose a threat to traditional publishing models. Gallo went on to list certain factors that made some local stores his favorite. Be it impressive interior design or unique hospitality, a unique in-store experience will stay in the memory of customers much longer than a generic shopping session at Walmart. Now that the last orders of Cyber Monday have been made and the industry is gearing up for the next giant shopping season – Christmas, it is the perfect time for small businesses to emerge as an option worth considering among holiday gift-buyers. Spend more time on social media, but many struggle with the added workload. Focus on Facebook and Twitter, while adoption of Pinterest and Google+ remains slow. According to the survey, 43% of small businesses spend at least 6 hours per week on social media and 1/3 of CEOs want to spend less time on social media. The most widely used channels include Facebook (90% of small businesses are on Facebook), Twitter (70%), and blog (55%). The most time-consuming task is finding & posting content, followed by learning & education and analyzing. The least time-consuming task is responding to questions. The following illustration lays out the details of the findings. You can find the complete survey here. Fortunately, there are a lot of tools available to small businesses to help them use social media more efficiently. Ian Cleary, founder of Razorsocial, shares eight of his most favorite tools to manage social media in this article published on Business Grow. From finding and sharing great content to maintaining contact with influencers, these tools not only reduce the time spent on social media but also help small businesses reach out to the right community and participate in the right conversation. In its essence, social media is similar to a large networking event. It can be overwhelming if you do not have a strategy and a purpose. However, if you know who to talk to and what you should talk about, it can be a very rewarding experience. According to the article, a third of small businesses in the US is owned by women, compared to 10% twenty five years ago. The most substantial reason for women lagging behind is lack of funding, Jon said. Dana Pinkava of the Washington Post does not have an optimistic view of woman-owned small business, either. In her article tilted “Woman-owned small-business program a work in progress, Dana pointed out the disappointing results that the SBA-led initiative in favor of women business owner achieved in the last 1.5 years since its implementation. Despite the effort to establish a fixed percentage of contracts to be awarded to women-owned small businesses every year, the initiative still lacked diversity in participating industries and did not increase the actual number of contracts women-led companies. However, we should not disregard the incredible growth of the female business owner sector in the past decade. The good news is a lot of organizations and initiatives have been formed to support the advancement of female entrepreneurs. This article by La Mancha Sim suggests some resources that woman business owners can employ to find funding. The SBA set up a series of webinars focusing on finding capital and scoring contracts. SCORE Lancaster have had many female clients in the past; and many of them have been running a very successful business of their own. In the spirit of October, we hope that the upward stick trend in woman-owned small business will continue its momentum.